Todd and I had the opportunity to speak with Caryn Grun, MINI Events Manager for MINI USA along with Michael Johnston, a Para-Triathlon athlete competing in the 2016 Para Olympics, live from the New York Auto Show. Details like an update to the route through Colorado and conformation that there **will be** an autoX component at 3 stops during MINI Takes the States. 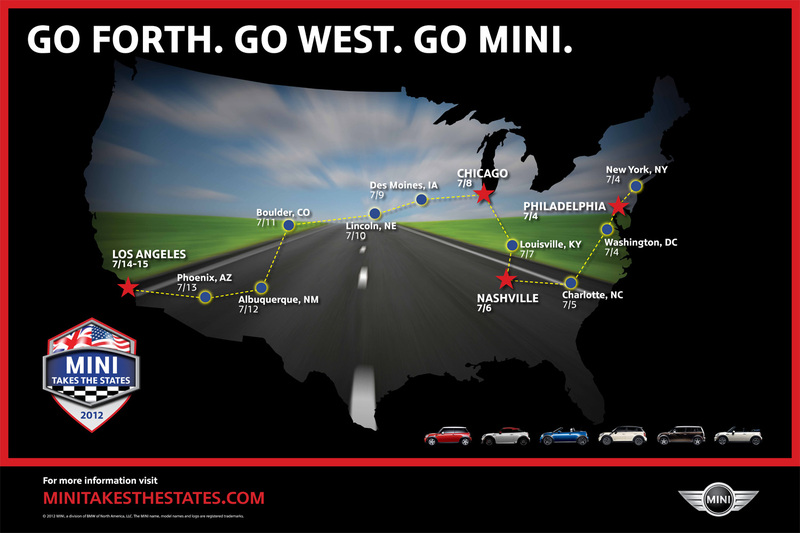 We also found out where MTTS will be kicking off from; MINI USA Headquarters in New Jersey! Registration opens tomorrow at minitakesthestates.com. Make sure to get yourself registered and keep yourself tuned in to White Roof Radio and Motoringfile for all of your MTTS details as they become available! We are seeing requests for more information to help with planning your time with MTTS. We have a route and dates. What more are you looking for? Let us know in the comments and we’ll do our best to find out. If there are 3 autoX stops…what do the red stars signify? I thought it was for AutoX locations. Maybe someone went a little crazy and put one on Nashville or LA by mistake. During our interview Caryn said 3. I’m waiting for confirmation.